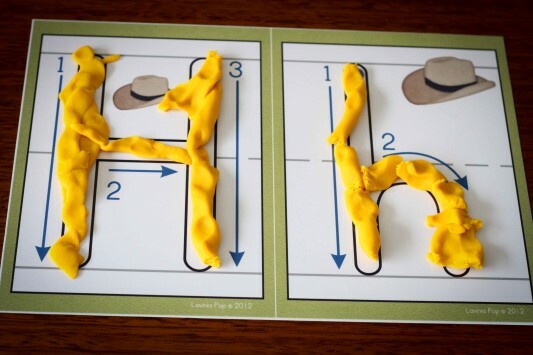 I decided to try something new for our Preschool Letter H. Instead of a beginning sounds basket, I used some of our beginning H vocabulary cards and covered the words at the top with playdough. Filip’s job was to say the name of each picture and figure out the beginning sound. 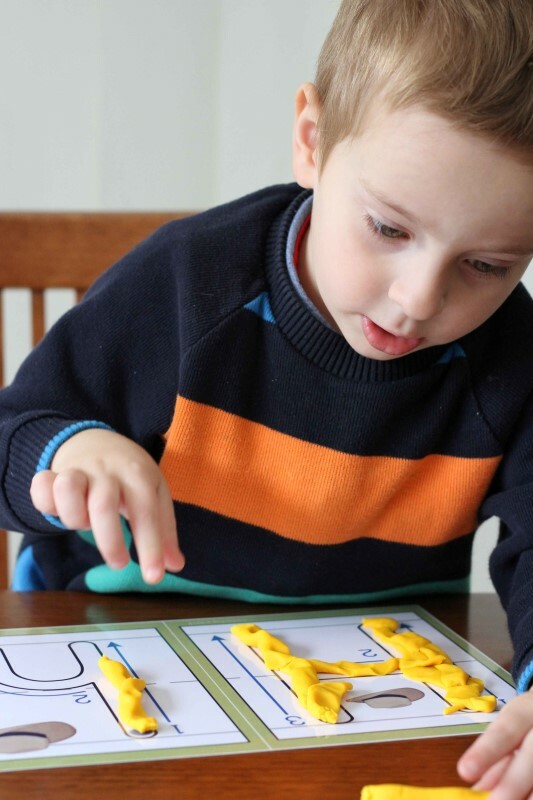 We took out our H Alphabet Play Dough Mat and Filip started by finger-tracing the letter to learn the path of motion for letter formation. 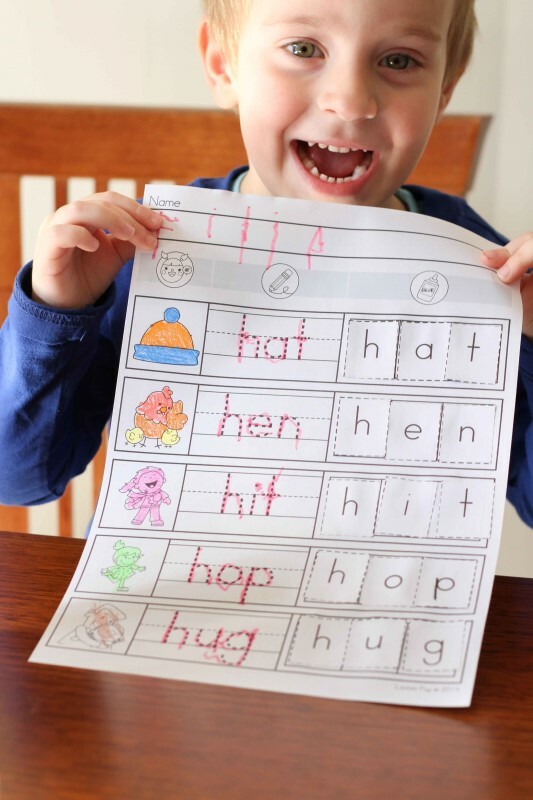 We are loving our lowercase letter formation practice sheets from The Measured Mom. 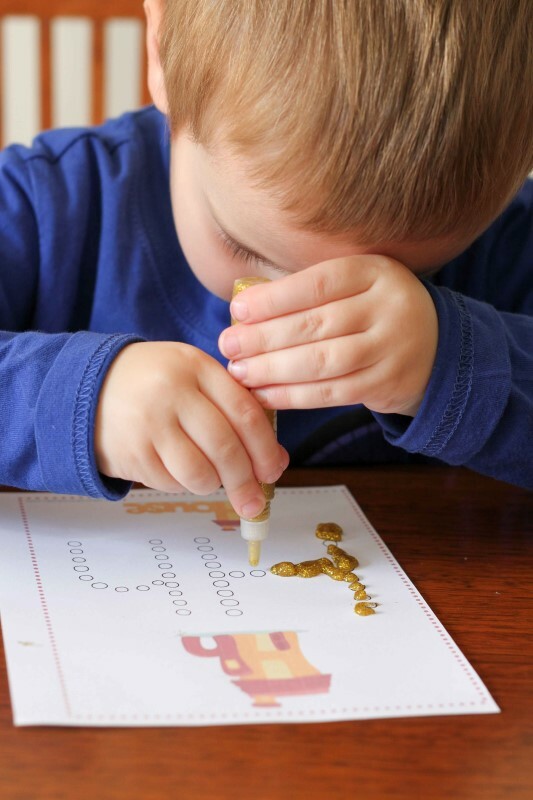 We recently came across this fun worksheet from Mariela Santillana (check it out here) and HAD to have it; my little man loves cutting and pasting and this was perfect for him! 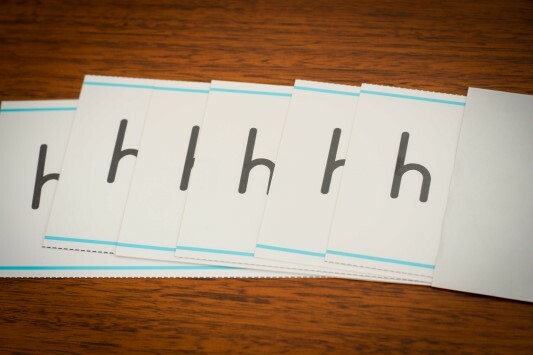 Then we read our letter h CVC word slider cards.This is by far his favourite “game”. Here he was sounding out: “H…a…m…” and then peeked inside the envelope to see the picture and happily announced: “Turkey! H-a-m – turkey!” This is why peeking is not allowed!! 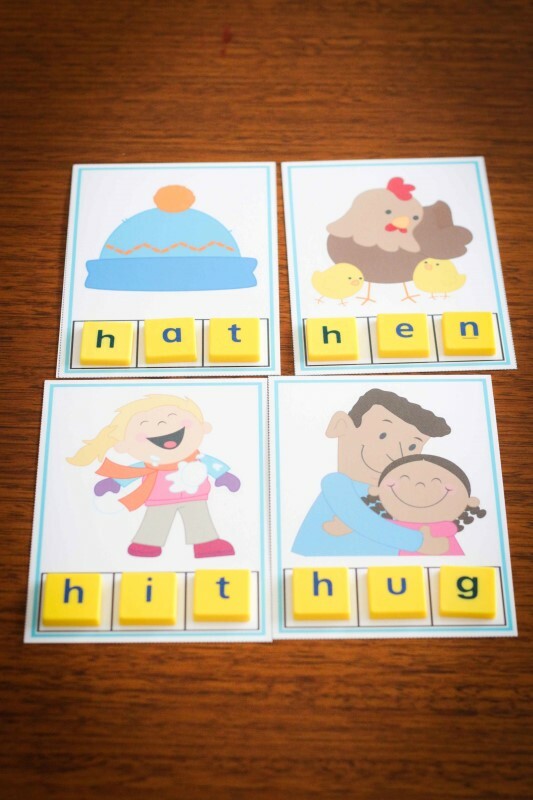 Letter H CVC picture puzzles. We attached magnets to the back of these so that they are easier for Filip to arrange. Then we moved on to our CVC word building activity. I placed the letter tiles in 3 columns (beginning, middle and ending sounds) to make it easier for him to find the sounds. Just letting you know that Filip does not do this activity independently; I say the word for each picture,emphasizing each sounds. Filip then identifies the sound heard, finds the letter tile and places it in the correct spot. 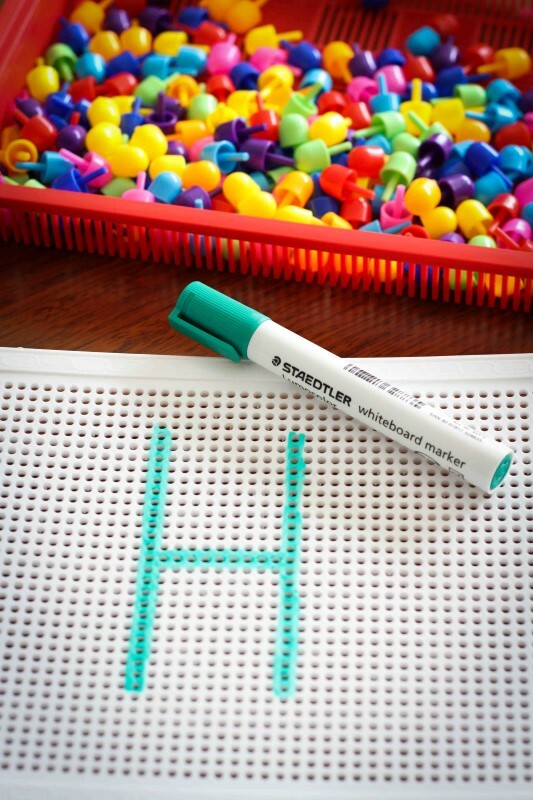 We started Day 2 by tracing over our letter H playdough mats with a white board marker. 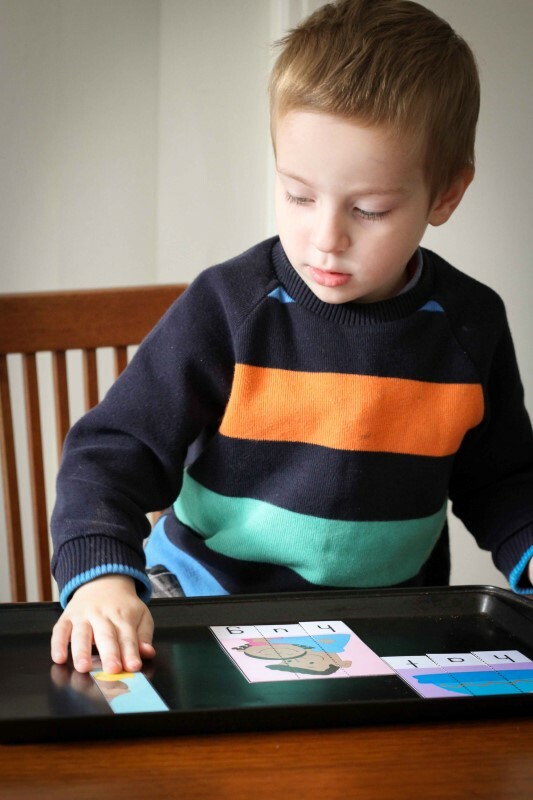 …and Filip pushed the pins in being careful to follow the letter formation he learned from the playdough mat. Here is a pre-writing practice page by From the Pond. Our Preschool Letter H Number Puzzle. We started Day 3 by revising beginning sounds E, F, G and H using our beginning sounds scoops. Filip used some glitter pens to do And then a Q-Tip Letter H page from 1plus1plus1equals1. We finished our Preschool Letter H with a craft. 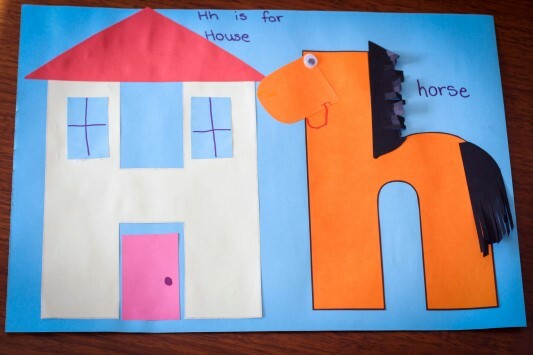 H is for house and H is for horse. As you can probably tell, neither of us are fantastic artists, but we sure enjoy our “school time” together! 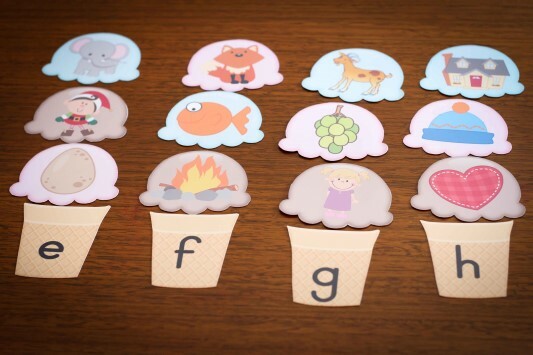 I’d like to finish with a GIVEAWAY for my Alphabet Beginning Sounds Scoops to 5 lucky people!! To enter, leave a comment and a contact e-mail! I will announce the winners on Facebook and directly to the e-mail specified! 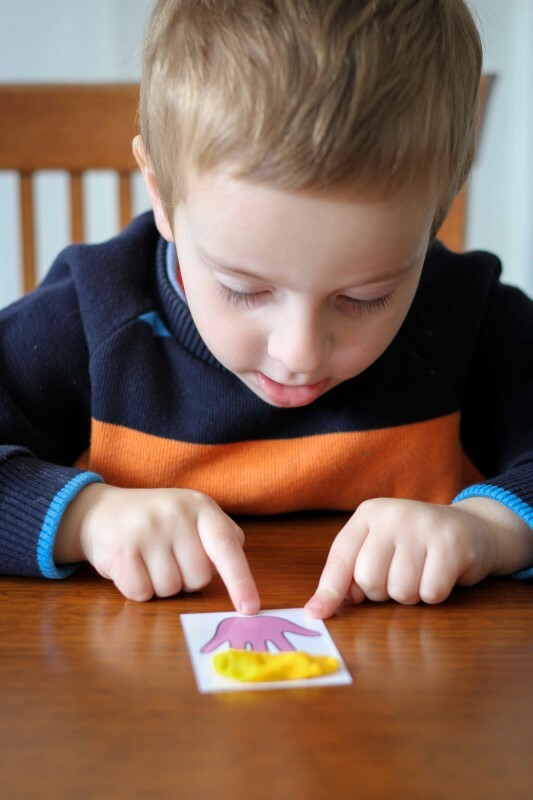 These activities are just perfect for my little kiddos!!! I love how the activities are hands on, fun and engaging. 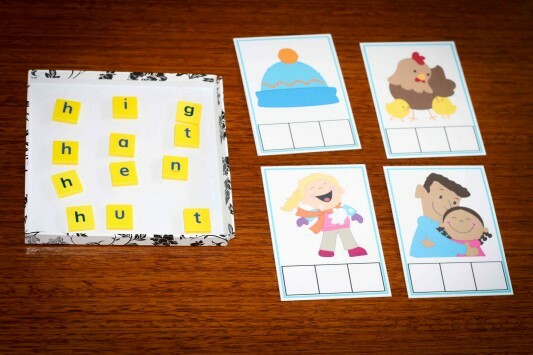 Activities like that help the student to learn. 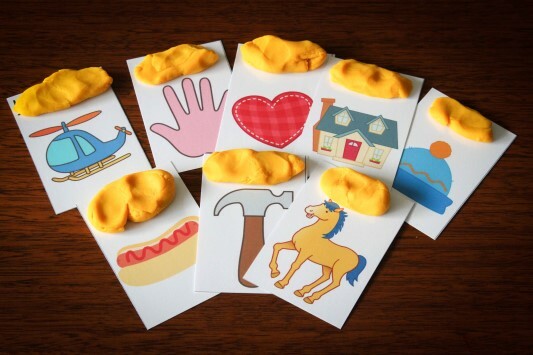 I have 40 PreK students and would love to use these activities. I would love this. I love your products and use a lot of them. In fact, I just bought the alphabet flip books. I would love, love, love to have these to go with my collection. Thanks for the chance. This is really neat. Your products are always outstanding. 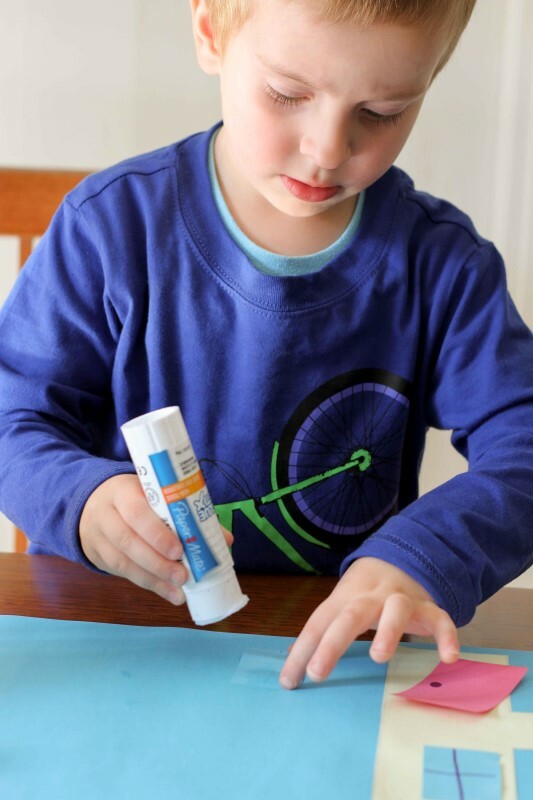 I would love these activities for my youngest son. He would enjoy these. Would love this for my daycare kids! Love this! My girls will enjoy this. I love the variety. Differentiation works really well with my kids. something like this for my daughter. This is really cool. I really loved how u had Filip figure out the sound the beginning sound. These Beginning Sound Scoops are great! These would be a prefect addition to learning the alphabet! Congratulations!! You are one of the winners 🙂 Please contact me at lavinia@inmyworld.com.au so that I can send you the Beginning Sounds Scoops unit! Love all of these activities! I would love this! It’s perfect for my kiddos. Filip is so cute! Love his smile! 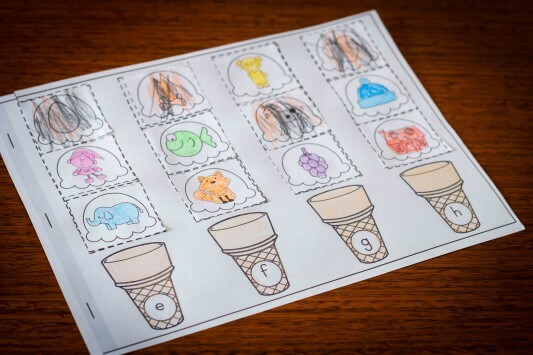 The beginning sounds scoops would be fun for my 3-year old who loves ice cream! Beginning Sound Scoops has been in my son’s wish list for awhile. Thanks for the chance to win it! How fun! These would be perfect for my little one! Love your resources- hugely helpful!! This would be great for my ESL class. Love the pictures and the idea. 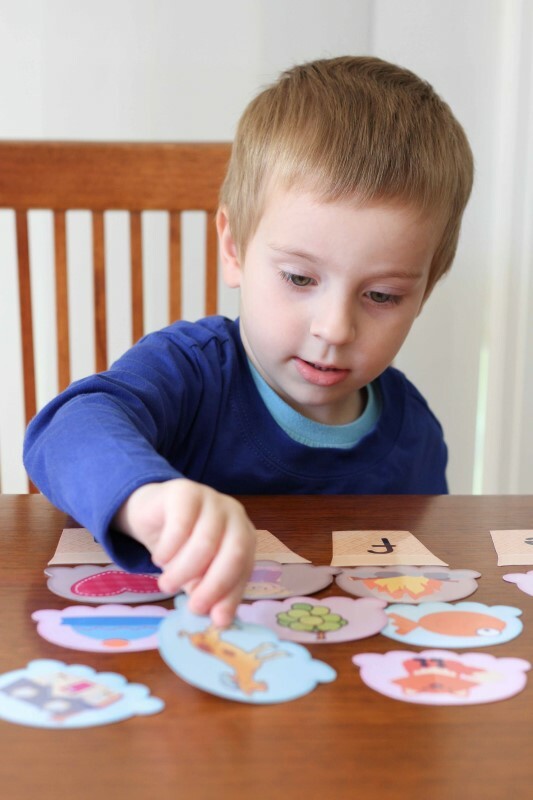 Love the beginning sounds scoops and the letter puzzles. I have just printed the letter puzzles for my Mr 3 this morning. 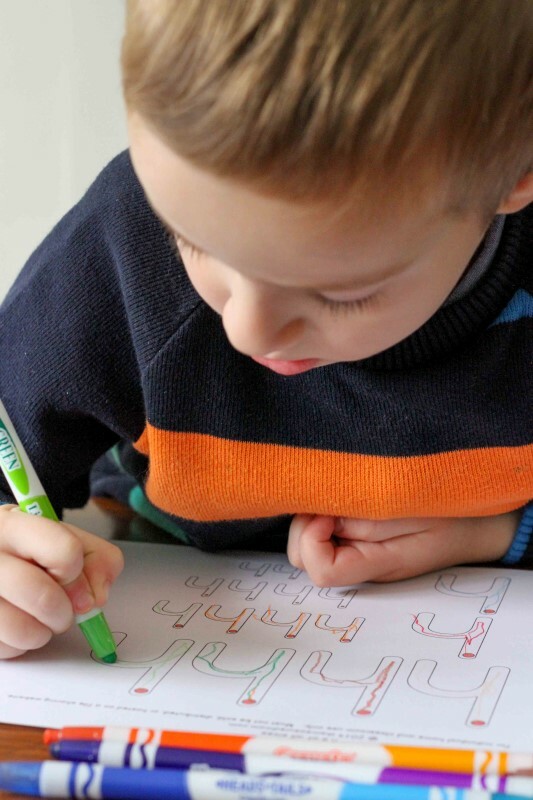 Each activity is child focused in that it is meaningful learning, open for creativity, and fun. 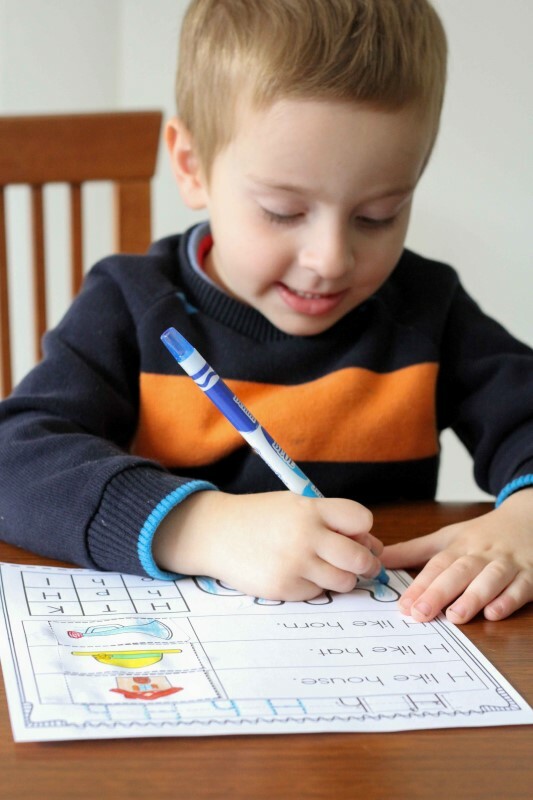 As an organized educator, I value the simplicity of these activities because expectations and routines can easily be established yet modified for various letters. My students have shown positive growth from using your materials and ideas within my Kindergarten classroom. Thank you! Love these ideas!!! Looks like another great activity packet. Thanks!! This activity is so cute. Loved all the H activities. Where did you get the push pins? Love all of your activities! 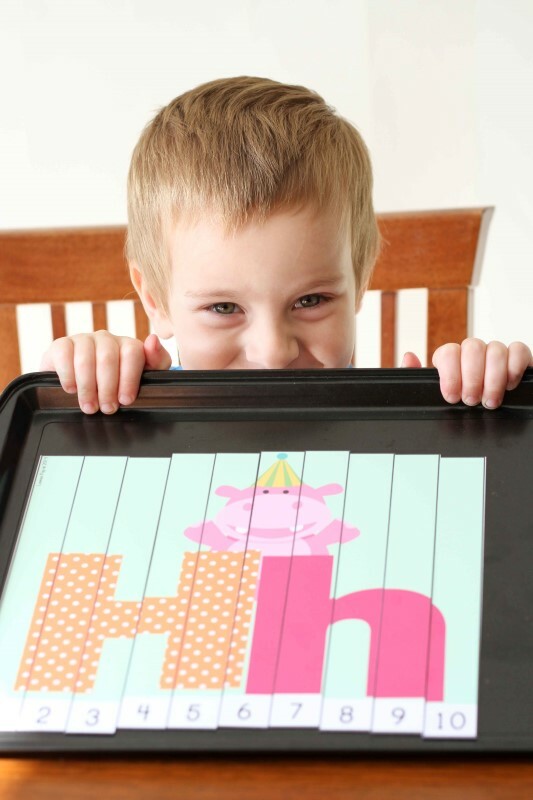 Great post of ideas for learning about the letter Hh which an e applied to all letters!! Thank you! 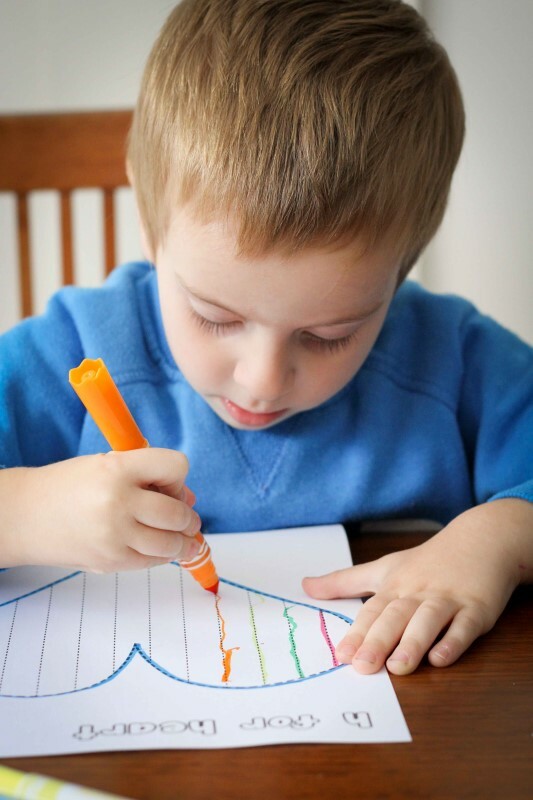 I will start following your blog for more teaching ideas for little ones! I’d love to win your “Beginning a Sounds Scoops”!! As with all of your resources – your “scoops” look amazing! P.S. 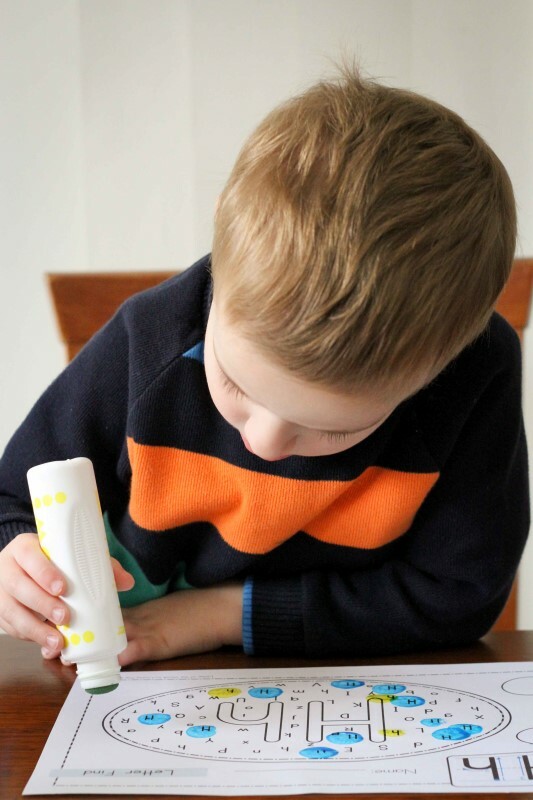 Your son, Filip, looks so engaged in his activities – LOVE it! I just love all of your ideas!! I have got to find myself the plastic canvas and push pins. Those are so cool! Spent lots if time on TpT last night saving all of your wonderful activities to my wish list 🙂 Love this beg sound sort with ice cream cones…perfect my ice cream loving kiddos! 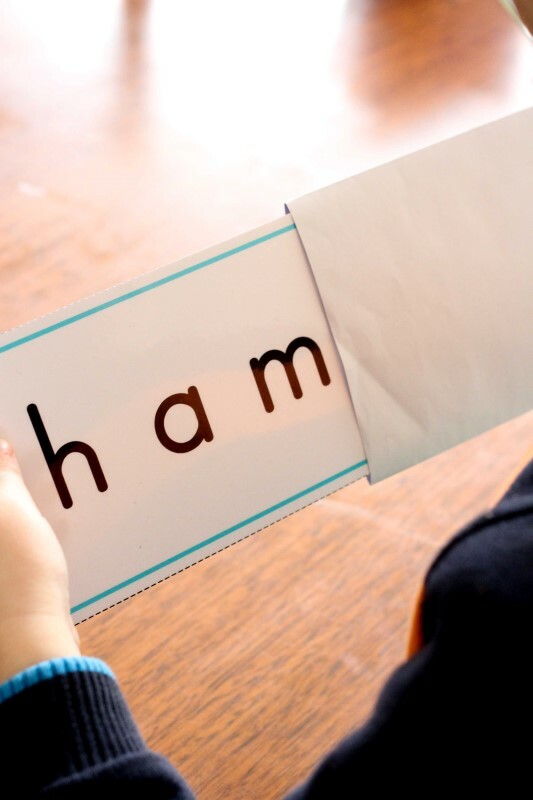 Working with letter sounds with my daughter and this could come in handy! 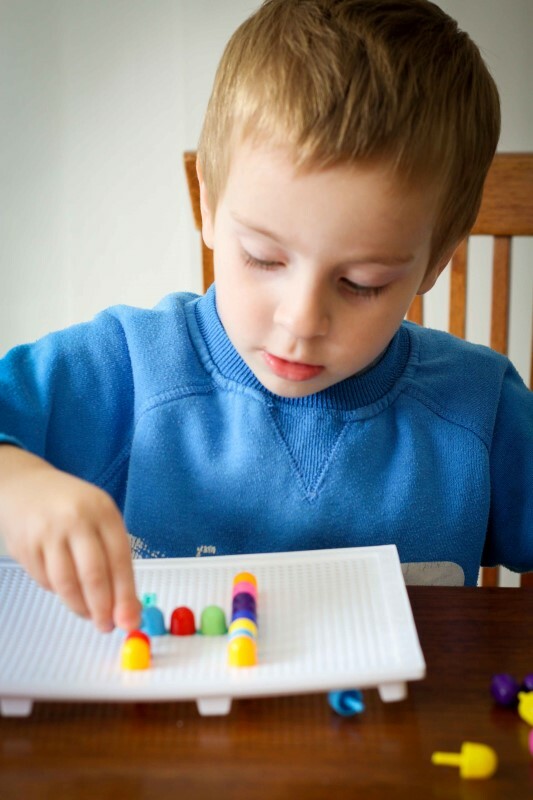 That push pin activity looks like so much fun! 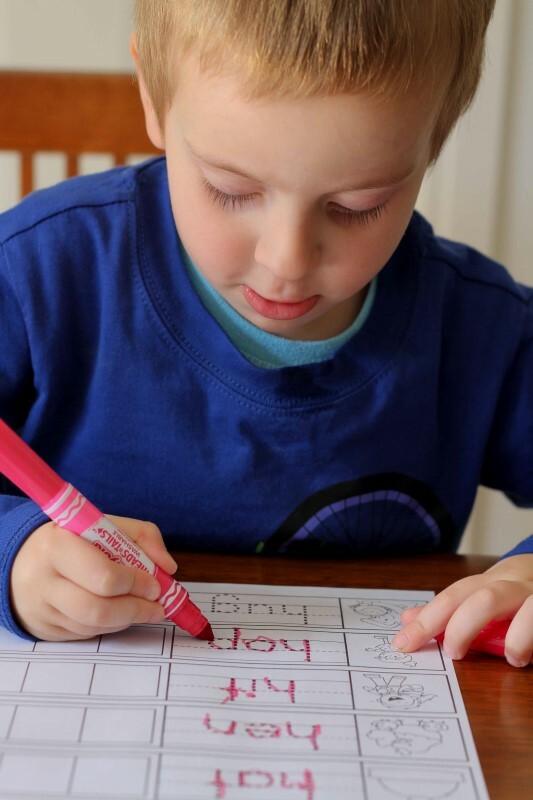 Winning this packet will give me an excuse to get lots more fun supplies, like bingo markers, push pins…… And can I just mention that your little boy is SOOO handsome?! Your work is so fun and vibrant! I use your products with my speech students ages pre-k through second grade. 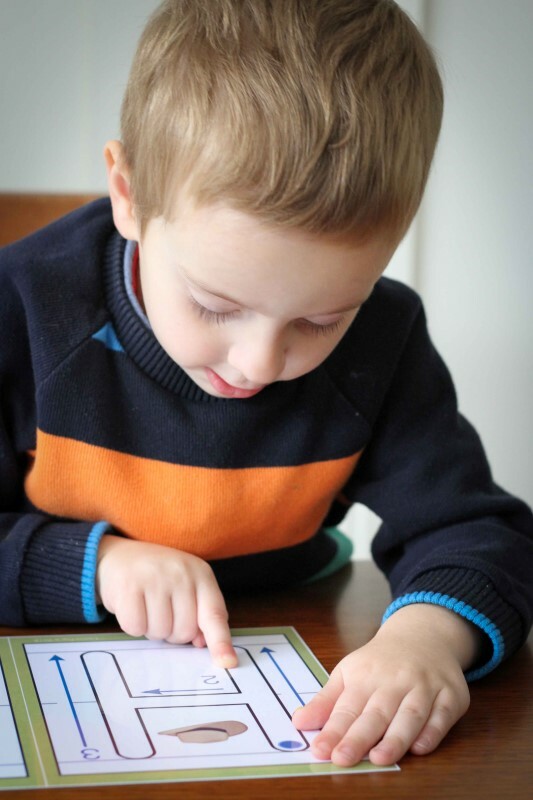 They love the activities and fun, motivating ways of learning to communicate! Hey! I’m a rising senior studying elementary education at North Carolina State University. I’m hoping to teach kindergarten when I graduate next year and have started collecting things for my classroom! 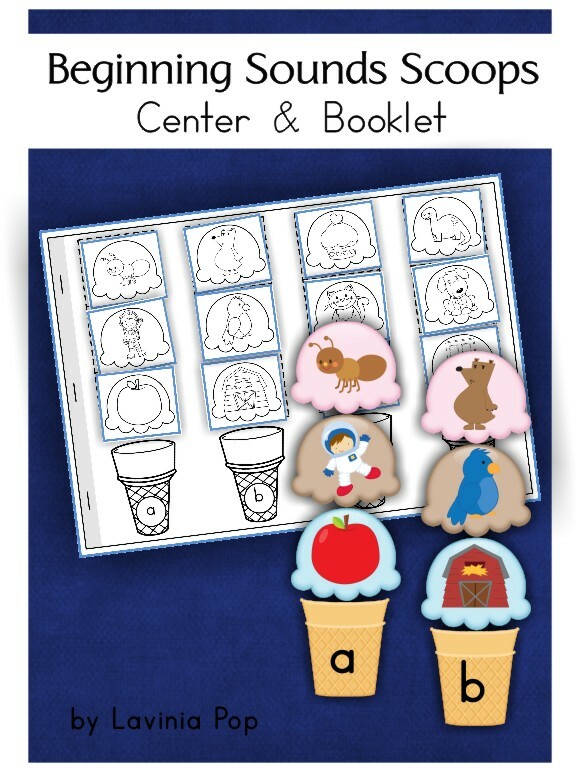 You’re beginning sounds scoop activity and booklet looks awesome and I would love one to add to my future classroom resources! Thanks! I would love to have this. It would be perfect for my class. Here’s hoping! I would absolutely love, love to have this and would use it so much!! Thanks for the chance. I love these! Bonus – they look super easy to use! I LOVE the Beginning Sounds Scoop. 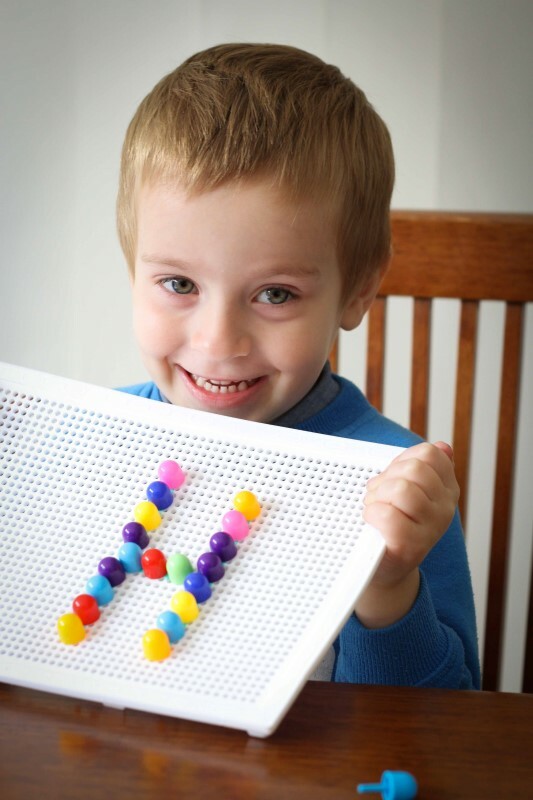 I’ve done something similar for the felt board using numbers and colors for patterns in my PreK class. This would help me extend the activity to include literacy! Seriously!! He he not the CUTEST thing ever?!? I absolutely adore your shop on TPT. My daughters would enjoy the alphabet beginning sounds scoops in their homeschooling curriculum. They love ice cream, so what better way to enhance their learning with a bit of fun! Thank you for your time and talent 🙂 I visit your website often to find more ideas to teach my girls. Thank you! These are awesome and would be suh a fun addition to our preschool time at home! I would love to find our own plastic pin board & pins. Any idea where I can find them or what exactly they’re called? Thanks. Do the dry-erase markers wipe right off the pin board with the mosaic pins set? I’d love to do that activity with my son, but I want to make sure it comes clean easily. It does rub off well if you rub it off right away. However, it does require some extra rubbing in the holes. My son had so much fun while doing the beginning sound scoops. Your product makes learning so fun! Thank you! Your ideas are amazing, and such fun! I would love to have this for my students. They would love it!! Hi my kids loves it, where to find the mosaic push pins with the board. 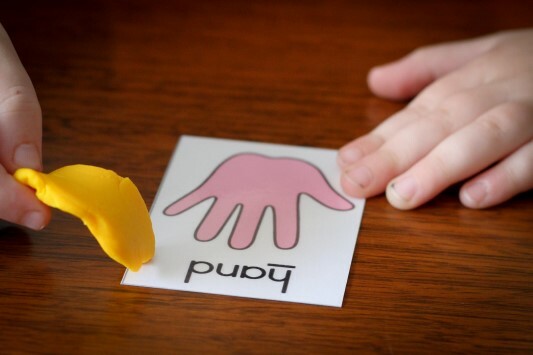 What a wonderful and creative way to learn letters and sounds/reading.